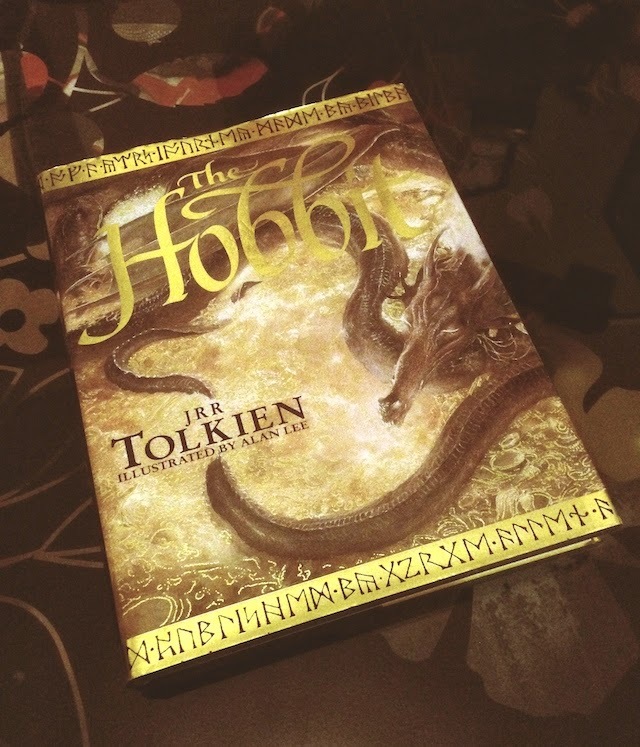 I found this utterly beautiful hardback copy of "The Hobbit" in a charity shop in Bellshill for £2. It is pristine and features truly exceptional artwork from Alan Lee. I think it was £25 when originally sold ... and was a true steal when I found it. I think I actually squealed when I found it. My Tolkien collection is an obsession ... and makes no real sense other than as a collection. I mean, why would you want more than one copy of a book? I guess there isn't any real point to having a collection other than the appreciation of the object itself.